Part man. Part machine. All cop… and now, all action figure! 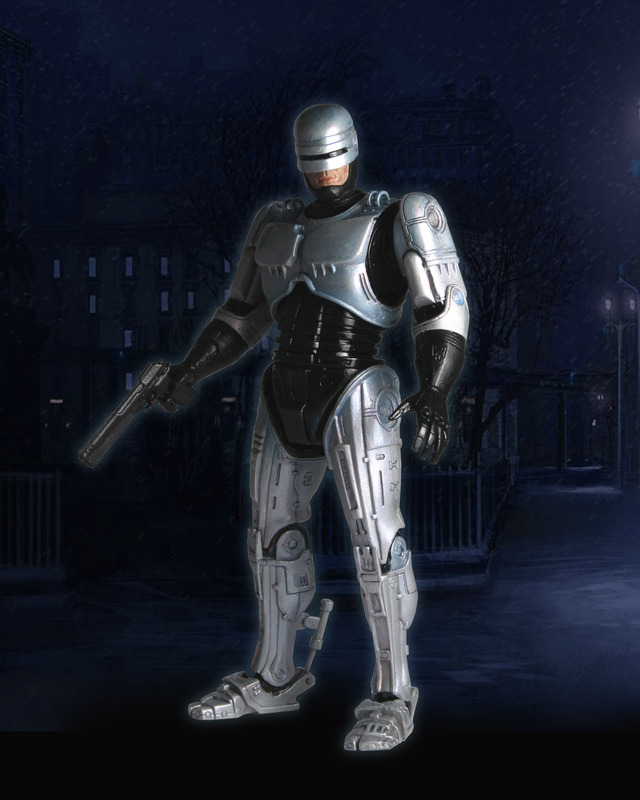 Robocop, the classic crime fighter from future Detroit, is back as a 7″ scale figure. He features interchangeable right hands and comes with an Auto-9 pistol accessory. Figure is fully poseable and highly detailed.